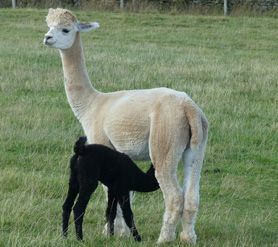 Our range of alpaca scarves, alpaca throws and alpaca knit wear uses only high quality British alpaca fleece from our own prize winning alpaca herd, along with fleece from a small number of breeders who are known for producing elite alpaca fibre. The fleece is graded and hand sorted (single-handedly!) 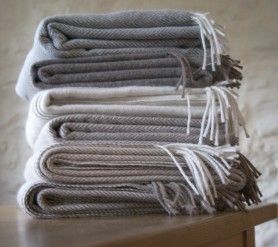 in our sandstone barn in Cumbria, before being sent to a specialist spinning mill based in the UK. 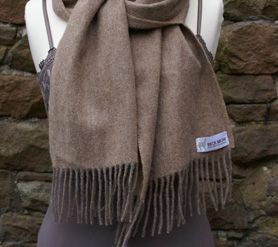 Some of the specially spun yarn is then sent to a Victorian mill based in the Scottish Borders, where traditional wooden looms are used to produce beautiful individually crafted pieces, each slightly unique due to the nature of the production. 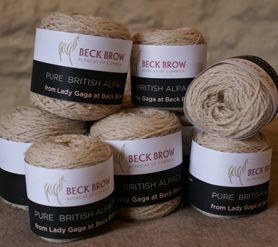 Alpaca yarn is also spun to be used in the creation of a number of fine, luxurious, woollen products within our range. 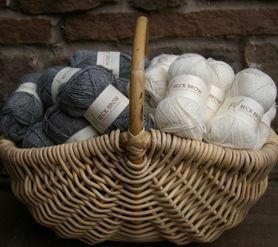 Produced in both the Scottish Borders by experienced craftsman, who have been taught by previous generations, and also by hand-knitters; each product has been crafted with care.